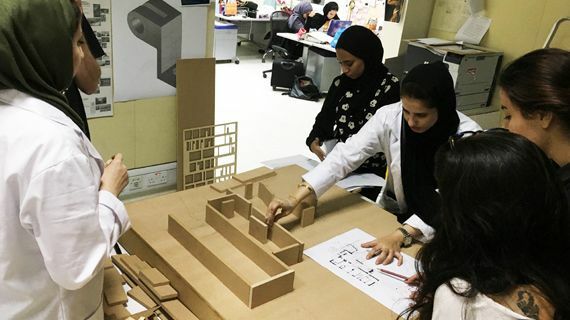 VCUarts Qatar's four-year BFA Interior Design program finds impetus in a combination of creativity and environment behavior paradigms underscoring holistic design approaches. The curriculum, which is fully accredited by the Council for Interior Design Accreditation (CIDA), promotes diversity, innovation, sustainability, and collaboration. 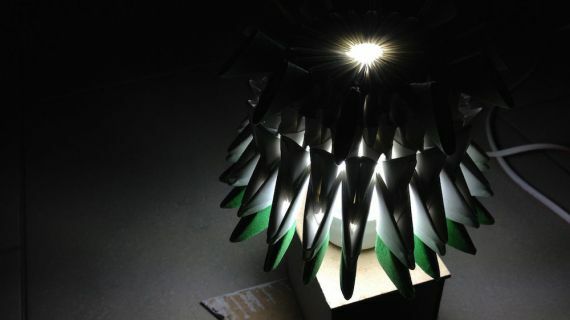 In compliance with this vision, the interior design program devised a program expectation that engages faculty and students into 1) curriculum innovation, 2) collaborative initiatives—interdisciplinary and multidisciplinary, 3) design competitions, 4) travel study, 5) internships, and 5) alignment with emerging design trends; i.e., building information modeling, three dimensional printing (3D printing), virtual reality, and evidence-based design. 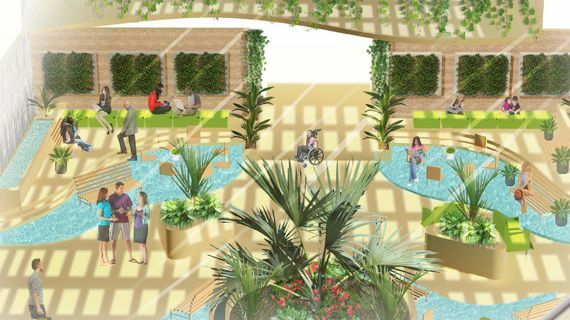 The interior design faculty expertize paves the way for students to develop their creativity and innovation for a give space with the goal of improving the quality of life, increasing productivity, and protecting occupants’ health, safety, and welfare. They design the interior spaces of health care facilities, hotels, ferries, and ships, and other commercial industries; become a stage and set designer, a movie production designer, exhibit designer, project manager, or an interior architect. Professional interior designers have a solid understanding of construction and building systems because they make decisions that impact structural components as well as mechanical and electrical systems. They also have knowledge of environmental psychology, building codes and regulations, technical properties of materials, historic precedents and the business of design. 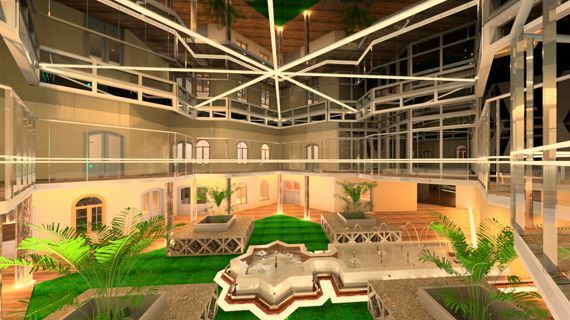 Upon graduation, our students are able to skillfully apply the design process and illustrate their design concepts with computer- and manually-generated two- and three-dimensional architectural drawings and models. 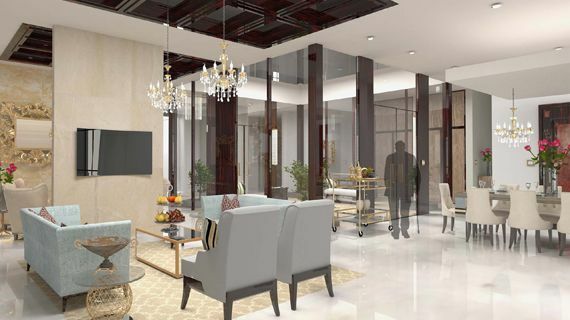 To realize the designs they envision for clients, professional interior designers often collaborate with architects, engineers, other designers (lighting, graphic, landscape), contractors, manufacturers of interior products (furniture, lighting, fabrics), artists and craftsmen (cabinet makers, upholsterers). For that reason, our interior design students are encouraged to develop good collaboration and communication skills that will enable them to work effectively in the multi-disciplinary environment of a professional interior design office. Professional interior designers lead design teams from the early stages of a design project through to its installation as a finished interior space, and many students, after gaining work experience, will open their own design firms. 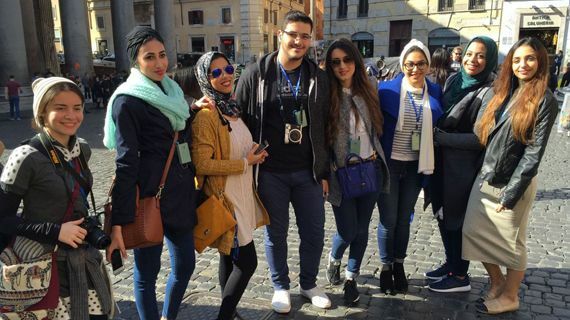 Our interior design majors are given opportunities to develop leadership abilities, as well as entrepreneurial, communication and organizational skills before they graduate; and our support systems continue for them as alumni. All graduates complete a liberal arts and science core curriculum in addition to their major program; these courses enrich a student’s understanding of the world and help them frame their art and design studies into a broad intellectual context. High achieving students will also be invited to follow our Honors program to enhance their education. Shaikha Al-Sulaiti is an interior design manager at Msheireb Properties where she has been skillfully gaining experience in the hospitality field. She is currently managing the hotels in the Msheireb Downtown development, where she has been working for over eight years, since her graduation from VCUarts Qatar in 2009. 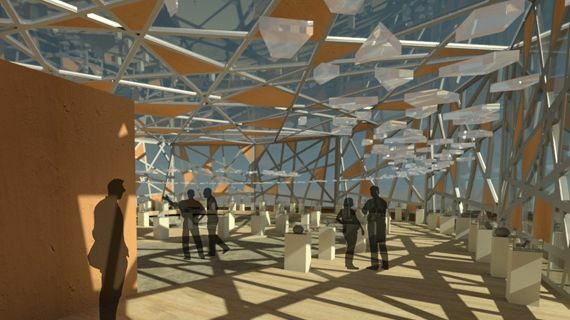 Local designers Mariam Siraj and Yasmine Suleiman are helping create some of Doha’s major commercial projects. When it came down to making the choice of which university to attend, Mariam and Yasmeen knew that VCU was the choice for them. Interior designer and art historian Aisha Al Muftah feels fortunate to be teaching at VCUarts Qatar, a job she cares deeply about. 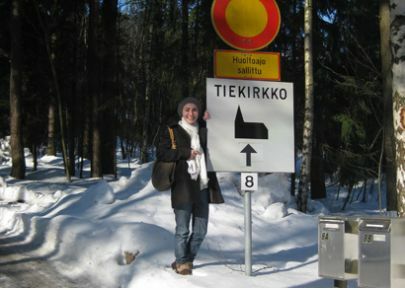 Having such a diverse educational background has set the course for all of her subsequent projects to be interdisciplinary, which the cultural environment in Qatar certainly encourages. 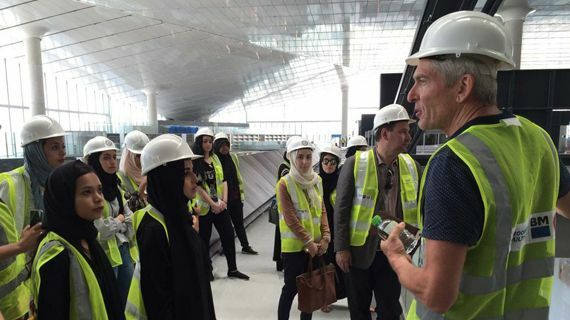 When Hessa Al Muhannadi started working as a math and science teacher with the Ministry of Education’s elementary and secondary schools, little did she know that in 10 years she would be switching careers and designing the interiors for the Qatar Amiri Flight. The spring travel study included Rome and Milan. 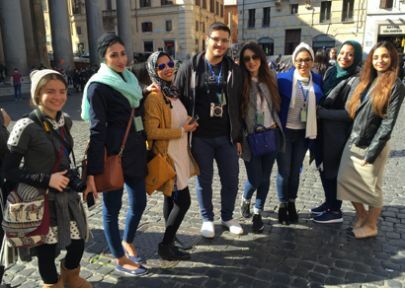 In Rome the students benefitted from historic pedagogic promenades to Classical Rome (Coliseum, Forum, Mamertine Prison, Trajan's Forum, Capitol Hill, and Pantheon), Renaissance Rome (Vatican City including St. Peter's Basilica, dome climb, and Vatican Museum) and Baroque Rome (Bernini’s St. Peter’s Piazza, Tivoli fountain, Campo de’Fiori district, and Borromini’s San Carlo alle Quattro Fontane). 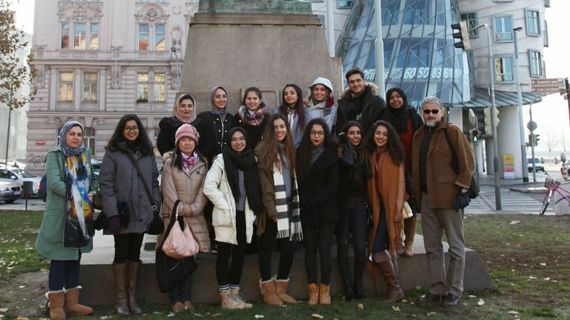 In Milan, the students benefitted from tours to Milan Cathedral, Trinnale of Milan, New Fondazione Prada, and Museum of 900. This study travel concluded with a visit to Associati Design Studio whose directors are members of the Interior Design program advisory board. 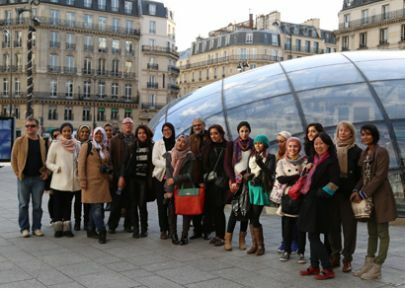 The Interior Design program organized a field trip to Paris, France, February 25- March 4. 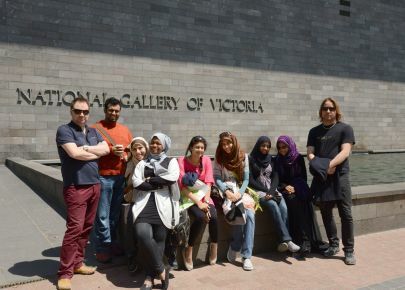 2014 The program included visits and tours of architectural landmarks, museums, and historic buildings that included well-celebrated art, design, and architectural references. 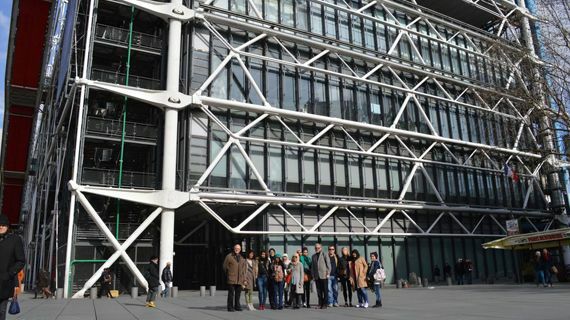 These included: Villa Savoye (LeCorbusier), Le Louvre (I. M. Pei), Pompidou Center (Piano & Roger), Canal Plus (Richard Meier), Musee du Monde Arabe (Jean Nouvel), Guided Tours of 16th Arrondissement--Art Nouveau and Art Deco, Champs Elysees and Chateau de Versaille, Eiffel Tower, Arc de Triomphe, Musee d’Orsey, Musee des Arts Decoratifs, and the Bateaux Parisians River Cruise.The objective of the fieldtrip was to help the students to gain a more cosmopolitan international perspective of art, architecture and design, to cope with ambiguous design information, and above all to think more creatively and to see more than one perspective for a specific design perspective. 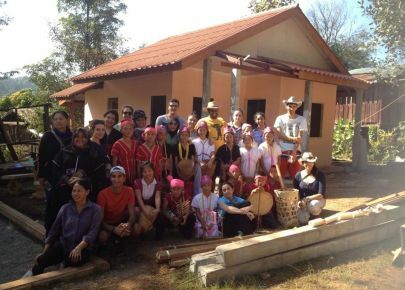 Taking advantage of an opportunity to combine learning with service, the Interior Design department at VCUQatar teamed up with service-learning Into the Wild to construct a teacher accommodation for the Karen hill tribe’s Muen Phem School in north of Chiang Mai, Thailand. With a generous sponsorship from Arab Engineering Bureau, it helped design and build a small house for a teacher; by completing it and having the house ready to be occupied, the department will continue to seek unique volunteer opportunities with the potential to coincide with its instructional goals in the future. 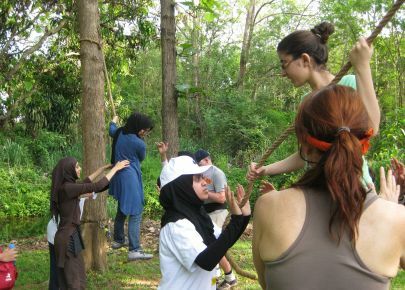 The Thailand trip, in addition to providing a culturally enriching experience to students, provides students with firsthand experience on implementing lessons learned in the classrooms. The trip provides service learning opportunities where students design and build a school gate and surrounding walls in a rural village near Meun Pem. 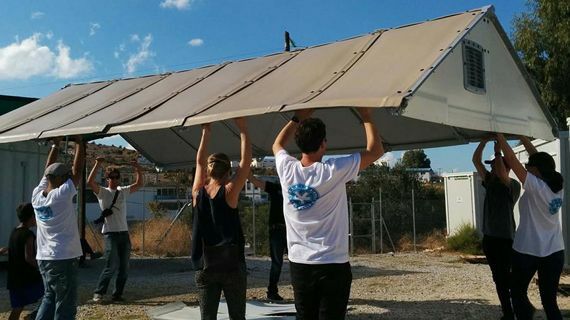 This program is based on previous successful projects in the same region. 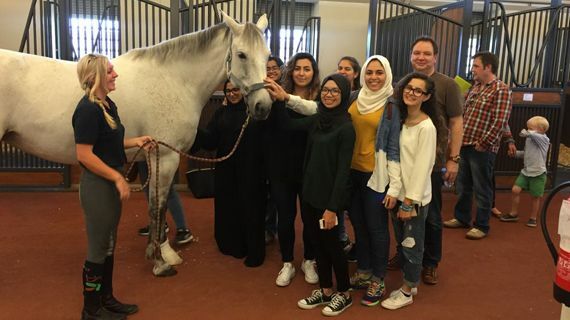 In last year’s project VCUQatar students and faculty—with a generous sponsorship from Arab Engineering Bureau—helped design and build a small house for a teacher. 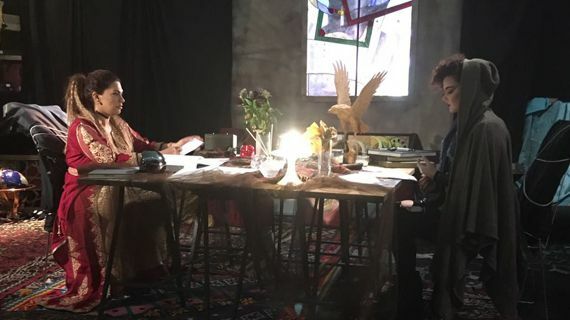 Our Interior Design students took part in this collaborative workshop with the Royal Melbourne Institute of Technology (RMIT) senior showcase exhibition for graduating seniors. 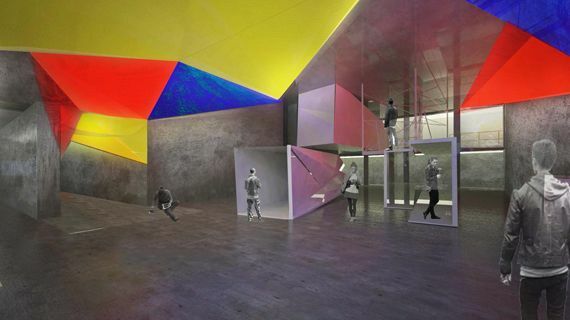 The workshop brought VCUQatar interior design students with RMIT students to design and execute the senior exhibit; from a two-storey empty floor to a finished space within five days. Our students were primarily responsible for designing the library portion. 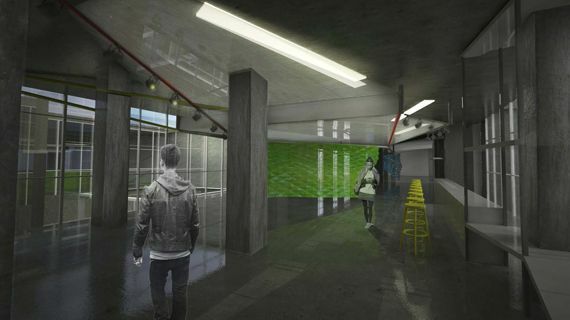 Each year RMIT leases an un-used building to showcase senior work, and much of the two-storey warehouse space is dedicated to the exhibition of student portfolios. Additionally there is an entry-space that includes the names of students and a catalog of the beautifully produced booklets of their seminar work in a library-like setting. 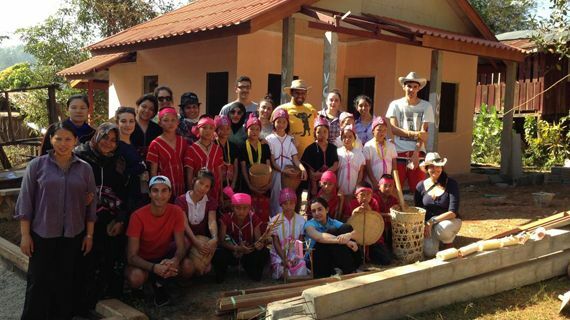 The Interior Design department and the Student Learning Centre collaborated with Into the Wild on a service-learning fieldtrip to Northern Thailand with twelve students and three faculty/staff participating in a community building project. Internships are a great way for students to gain hands-on experience in a professional design environment. 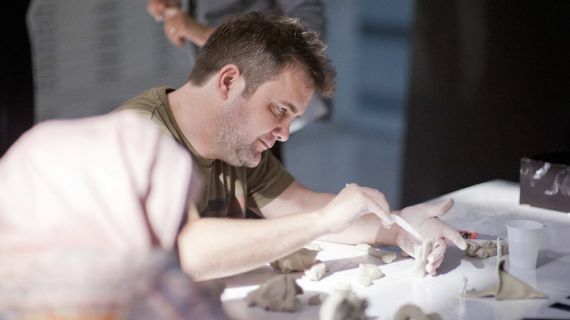 VCUarts Qatar's internships form part of the core curriculum and all students are expected to undertake a 120-hour placement often in their Senior Year. Internships are generally unpaid but may lead to sponsorship or employment after graduation. All placements are managed by the faculty internship coordinator with contracts, reporting documents and timesheets to ensure the highest professional standards are maintained. 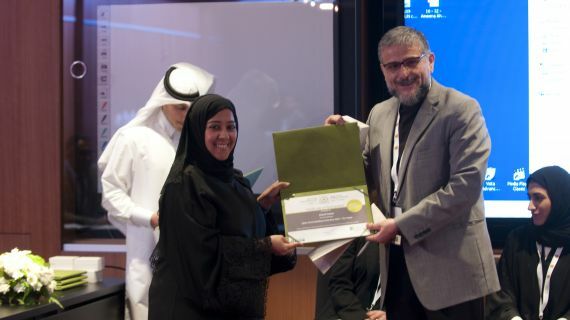 Al Fardan, Al Mana Maples, Arab Engineering Bureau, Arteligno Interior Designers, AvonTure Interiors, Barwa, Bin Ghanim Consulting Architects, Town Planners, Engineers, Bluu Qatar LLC, Cinmar Design, Dreams Decoration, Geomim Interior Design, House & Garden, Jean Nouvel Design, KEO International Consultants, Khatib & Alami Consolidated Engineering Company, Le Parfait, Living In Interiors, Mathaf: Arab Museum of Modern Art, MZ & Partners Architect & Engineering Consultancy, National Marble & Stones, Odell Associates, Omrania & Associates, Prime Lands Real Estate Development LLC, Prisma, Qatar Foundation Capital Projects, Qatar Petroleum, Qatar Museums Authority, Qatari Diar, RasGas, Romancia Design/Interior & Exterior Decorations, Salem Al Marzook/Abi Hanna, Shelter Qatar, Sketch Engineering & Consulting,Talati & Panthaky – Associated Pvt. Ltd, The Classical Palace, The Land. 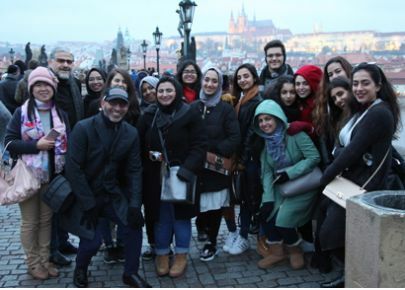 Abdullah Al-Emadi, Ahmad Najjar, Cynthia Batir, Dr. Abdellah Karroum, Laura Barlow, Giampiero Peia, Martha Nasazzi, Hamoda Youssef, Ibrahim Jaidah, Lejla Niksic, Mayes Al-Thani, Modesty St. John, Mohammed Nasser Al Baker, Paolo Cassina, Yausif Al-Baker, Sandra Sainz Shaikha Al-Mahmoud, Hanouf Mohammed Al-Mana, Shaikha Al-Sulaiti Oliver Baxter, Esra Al-Kazem, Dorota Nazarewicz, Shraddha Aryal, Dr. Fodil Fadli.